The Multilateral Investment Fund of the IDB Group is the leading provider of technical assistance for the private sector in Latin America and the Caribbean. The MIF, or FOMIN as the fund is known in Spanish, is also one of the region’s biggest investors in microfinance and venture capital funds for small businesses. Projects to be financed should increase access to finance, markets and capabilities and basic services. The MIF always works with local, mostly private partners, to help fund and execute projects. 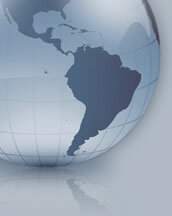 It provides grants, loans, guarantees, equity and quasi-equity as well as advisory services to business associations, non-governmental organizations, foundations, public sector agencies and financial institutions and, in some cases, private sector firms to support projects that benefit the poor - their businesses, their farms, and their households - throughout the 26 Latin American and Caribbean borrowing member countries of the IDB Group. The MIF does not directly finance micro and small enterprises. Financing and/or technical cooperation is also provided through its Social Entrepreneurship Program, which focuses on pilot initiatives with a business approach to increase financing and market access to marginalized rural communities and improve access to basic services. Most of the MIF financing takes the form of grants, which can reach up to $2 million per project. The MIF also offers long-term loans of up to $1 million and equity investments that can reach up to $5 million.